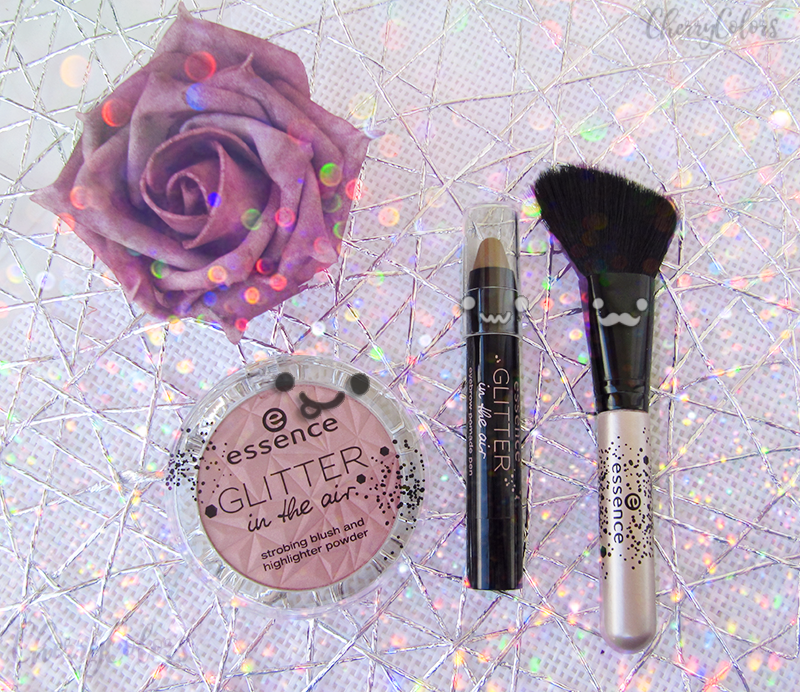 Essence Glitter in the Air Review + Swatches - Cherry Colors - Cosmetics Heaven! glitter, glamour and sparkling tinsel: the party season is just around the corner! we are enhancing the glam factor with the new trend edition “glitter in the air”. a radiant appearance is guaranteed with colours like pink, various metallic shades, green nuances and plum as well as the absolute star pieces: the drops for shimmer effects on the face and body, velvet lipsticks in rosewood and a dark plum tone with a glamorous diamond-shaped tip. 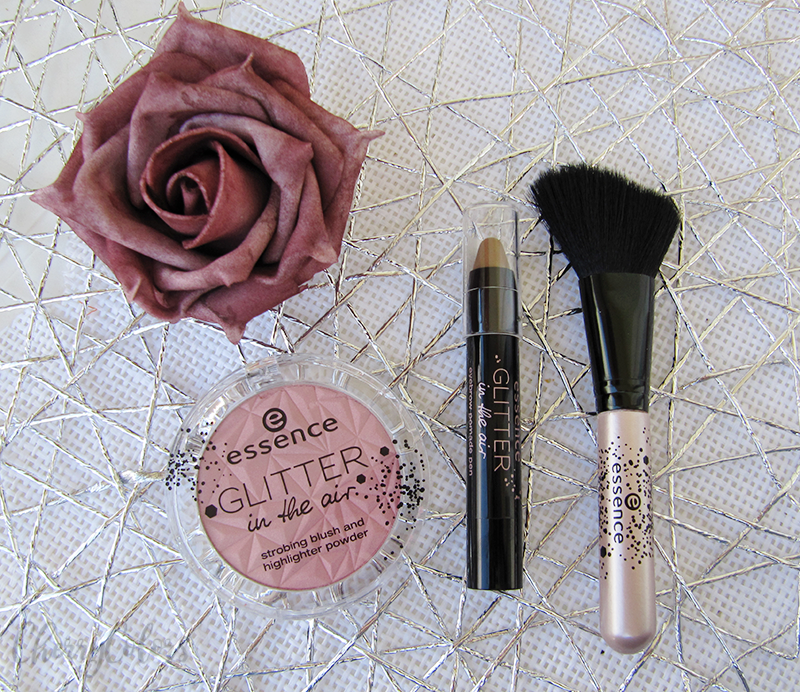 leave a little sparkle – with essence! The line consists of 9 different product of which I got 3 to play with. One of the products I got is a strobing blush and highlighting powder, a strobing brush, and an eyebrow pomade pen. shine bright like a diamond! the baked texture of the strobing powder highlights the most flattering facial features and contains light-reflecting pigments for a gorgeous glow. I was super stoked to get to try this product. I was hoping it would be everything it promises to be! It's too easy to get too much of it on your fingers. Also, the texture is pretty powdery. Well, the shadow swatch does it no justice. It looks absolutely awful in the shadow. 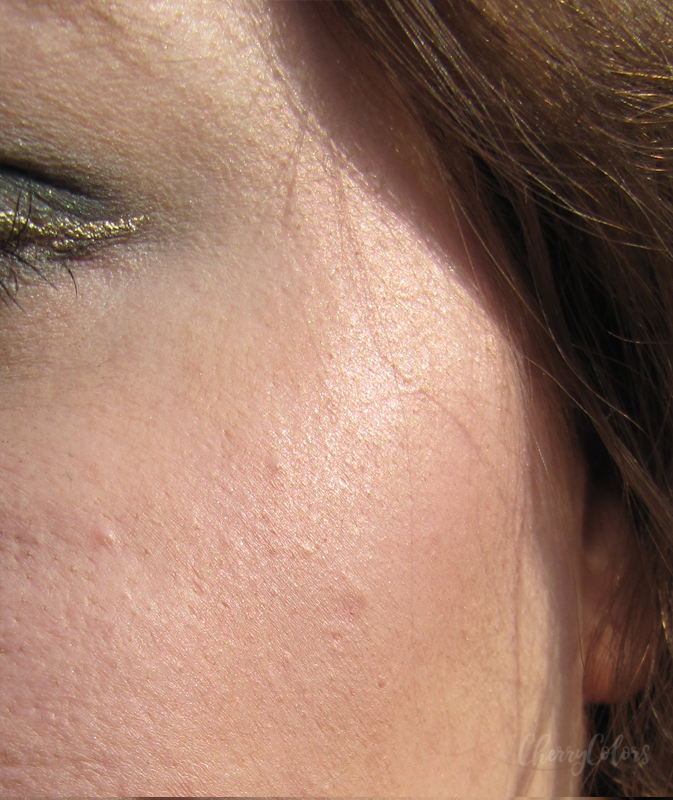 I went to take some pictures in direct sunlight and somehow managed to take a picture of it. 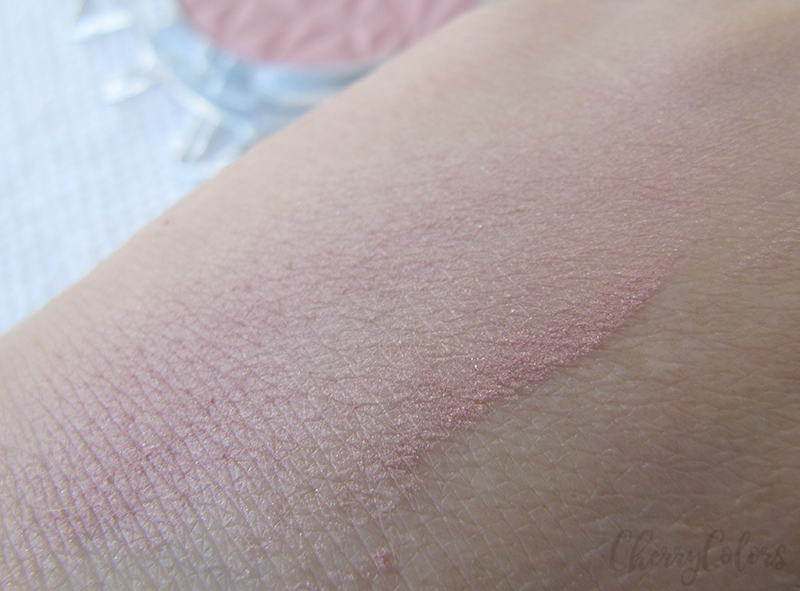 In the shadow, it's a plain (bad) pink blush that is way too powdery. In natural light (sunlight) you can see that there's some radiance to it, which I like. 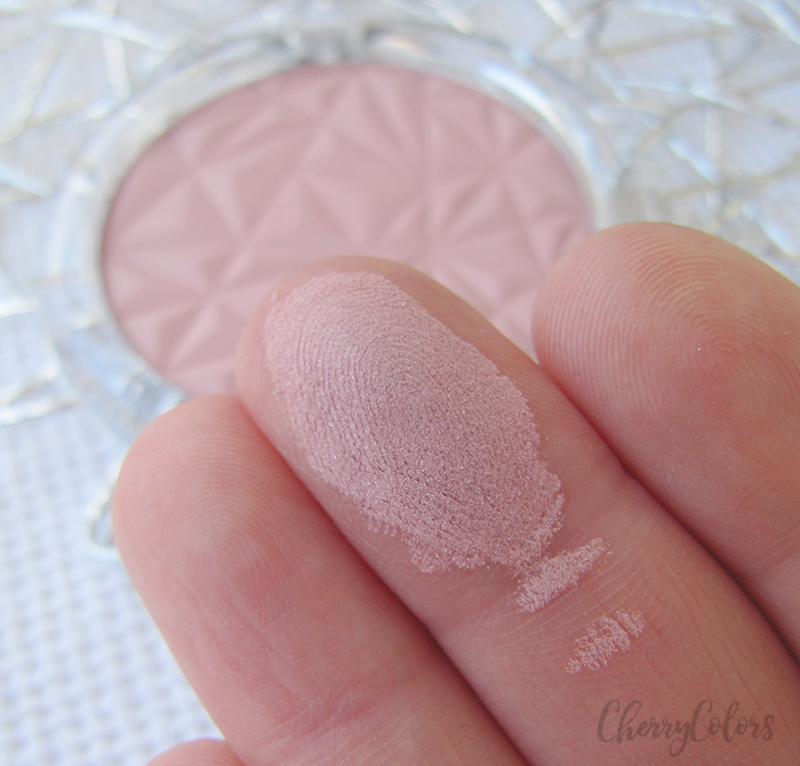 I am still not really sure how I feel about this blush/highlight, but I do keep it in my makeup box and I use it regularly. Hoping to be able to see the true beauty if it. Also, it doesn't last the whole day on me - a couple of hours and it's gone. Skip or get? Skip. I wish it was less powdery and more opaque. gleam of light. the strobing brush adapts to the contours of the face thanks to its ergonomic heart-shape and is ideal for applying blush as well as highlighter. Truth to be told, this is a nice brush. It's soft and the not very dense. The outer bristles of the brush do feel a bit coarse, but they do have a bit of weave to them. Overall the brushes feel soft and work nicely. I like the design, it's pretty unique and it is pink. The bristles are synthetic which makes for a brush that's easy to clean ;). Skip or get? 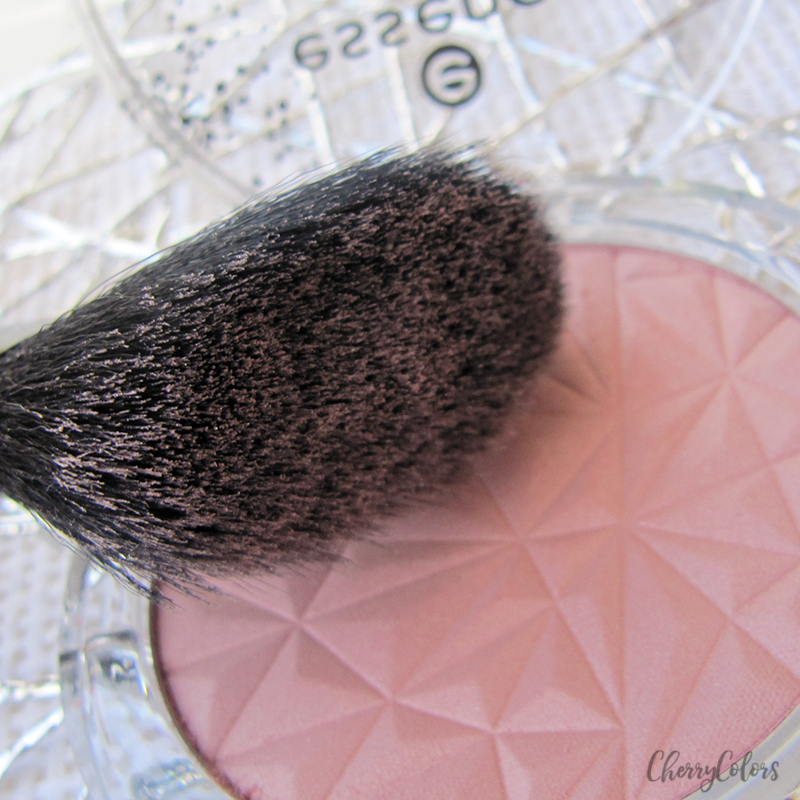 Get, it's a lovely brush and the shape is perfect for highlight and blush. came to frame. the eyebrow pomade pen comes in an universal colour that goes with many shades of brown to fill in the arch of the brows. 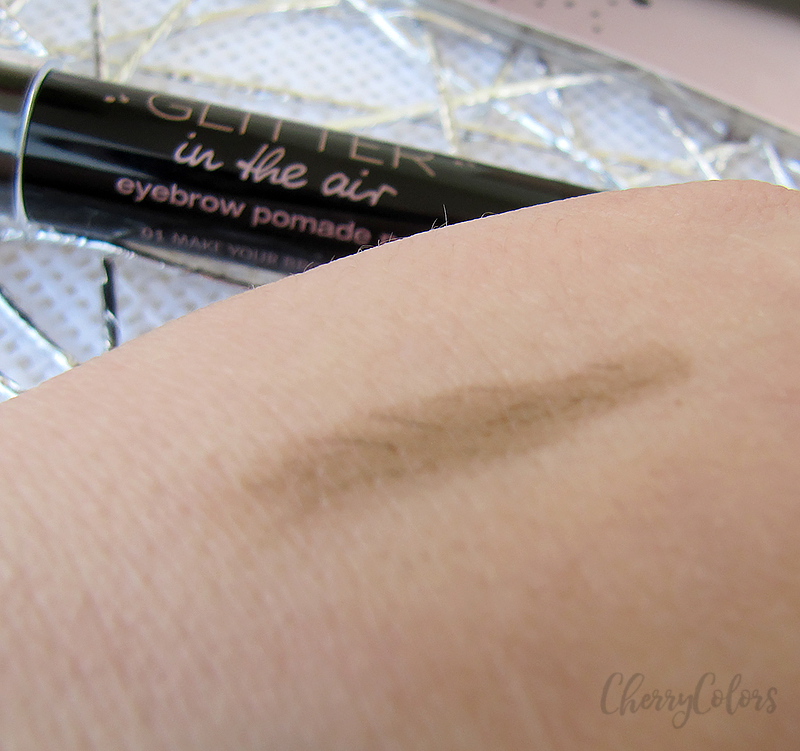 it has a wax-like texture to set the brows in place. This is a product that has a learning curve to it. I mean, it's easy to overdo it as the pomade is pigmented and kind of waxy. It sticks to hair very well and also lasts the whole day. On the picture below there's my very first application of the product. 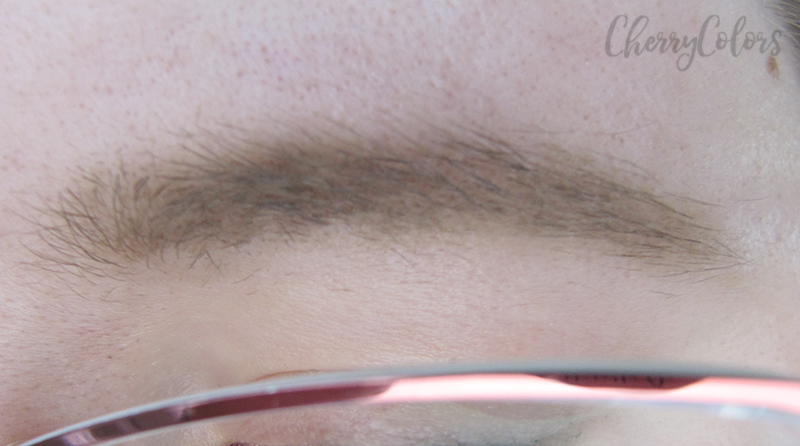 Now, I like to frame my brows with an eyebrow pencil and then apply the pomade. After that, I take a small brush and comb my brows to give them a more natural look. The pomade is pretty nice, I just wish it would come in a paint pot instead of this pencil shaped container. This way it's so much easier to overdo it than with a brush. Otherwise, it's a lovely product. Skip or get? Get! A great pomade and a little goes a very long way. What will you get from this Trend Edition? Here you can see the full line of the items.